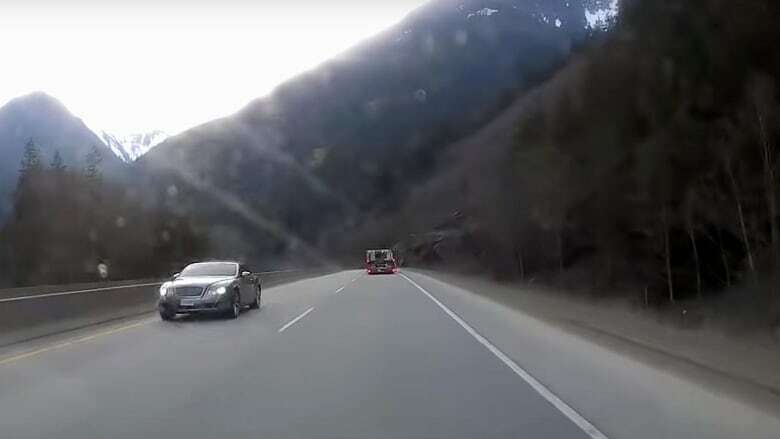 A Bentley stolen from Langley was captured on a dashcam going the wrong way on the Coquihalla Highway Thursday. The car was chased by RCMP in Merritt and Kelowna. Ray Campbell says he was shocked when he saw the video on YouTube. 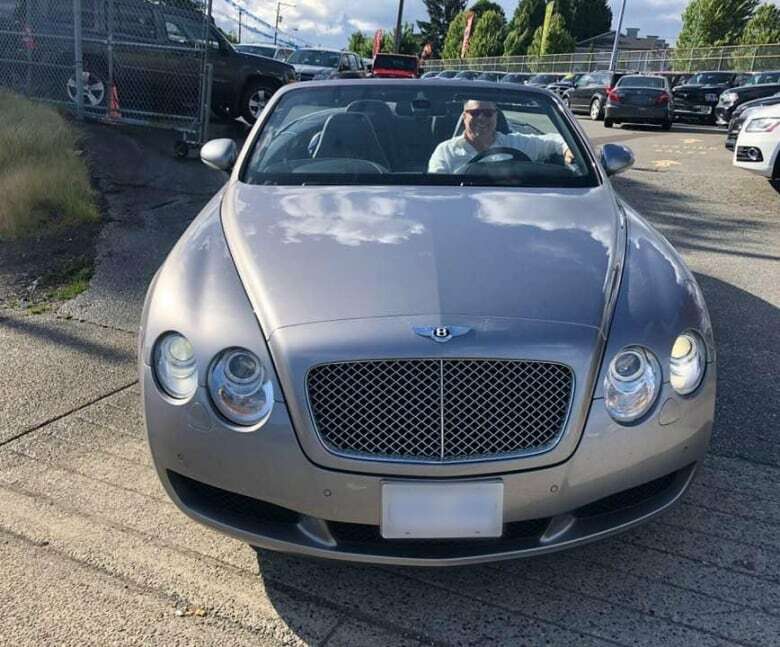 His prized baby, a Bentley, was being driven north on the southbound lanes of the Coquihalla Highway. "I almost cried. That was my pride and joy." The video was captured on Thursday by Jon Corrigan's dashcam and posted to YouTube. Corrigan managed to get over just in time to avoid a head-on collision. The 24-year-old says he was southbound on Highway 5, just five kilometres north of the Othello Lake Road exit when the close encounter happened. The recent UBC Okanagan grad was heading to White Rock and was shocked to see the car getting "bigger and bigger" heading the wrong way. Watch as Corrigan avoids a high-speed head-on collision. He says he had to pull over in Hope just to calm down after the close call. The luxury vehicle was stolen from Campbell's home in Langley sometime between 1 a.m. and 9 a.m. on Thursday. At first, he thought it was a prank and that his kids may have moved it. He says he was horrified when he realized it was his car going the wrong way. 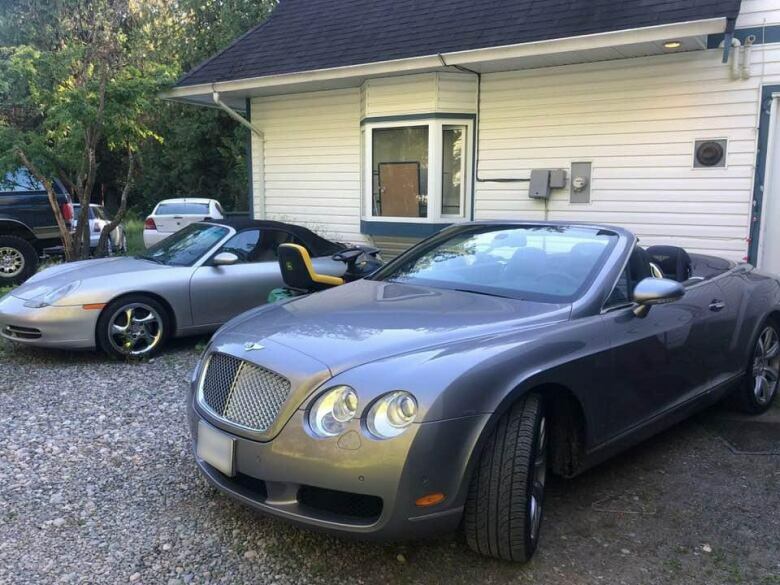 Campbell has owned the 2007 Bentley Continental GT for about a year and says, used, it's valued at between $80,000 and $90,000. The car retails new for $250,000. Campbell says he was told the RCMP detachment in Merritt gave chase after being alerted to the Bentley. He says that chase was stopped. But later the Kelowna RCMP also tried to pull over the Bentley. CBC calls to the RCMP have gone unanswered. Campbell says he was told speed was a factor with the Bentley clocked at nearly 200 km/h. Ray Campbell behind the wheel of his 'pride and joy' Bentley on the first day he owned it. According to Campbell, he's seen a Facebook post suggesting the car was also seen in Vernon. The Bentley is rare and Campbell says he's been told it's likely being hidden and is still in the Okanagan area.